Download Macbook Pro table Top Mockup Free PSD. 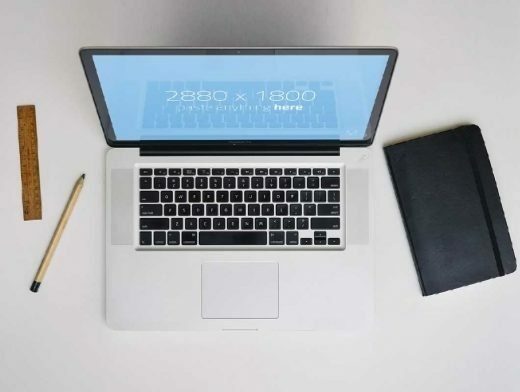 A useful Macbook pro table Top Mockup PSD that will help you display your web design projects in a realistic work environment. This Macbook pro on table Top Mockup PSD will make your end project look professional and will enhance your presentation giving it a photorealistic look and feel. Just add your own image on screen, or edit any layer you don’t need. It’s completely your choice. Smart Object layered to allow you to replace the screen with your own image. so Grab this beautifully designed Macbook Pro Mockup PSD and showcase your web or gui design in a professional way. This Macbook Pro table Top Mockup PSD freebie makes your work easier and it uses smart objects. By changing the content of smart object with your design you will get your desired result in few seconds without worrying about placement and perspective.